What can games developers learn from a social casino firm? "Overall, social casino games really are no different to any other free-to-play games." There's certainly a lot of truth to what Andrey Kuznetsov has to say in the opening line of our interview with him, but that might not stop some mobile games developers automatically dismissing his advice off the bat. 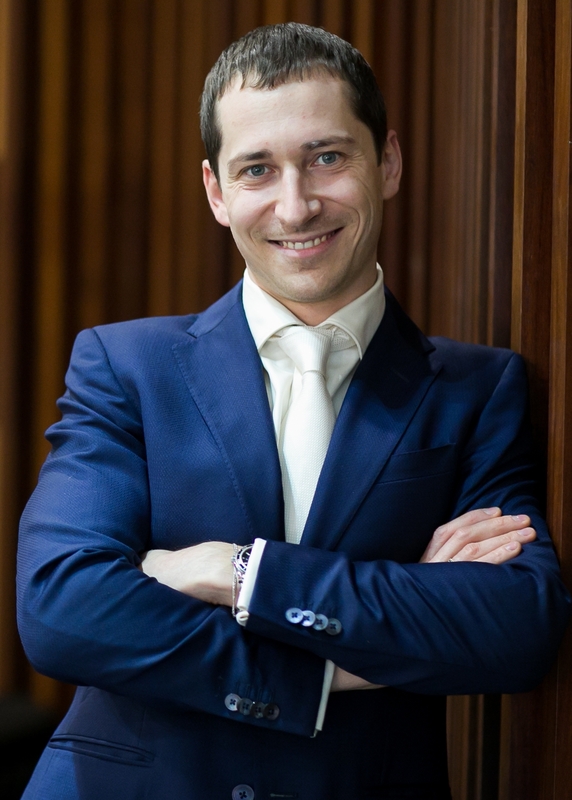 Kuznetsov is CEO of KamaGames, a social casino firm that specialises in mobile titles based on roulette, poker and various other card games. It is one of the leaders in its field and, while it may seem a far cry from the typical mobile companies you'll read about on GamesIndustry.biz, the CEO maintains that his experience can be equally applied to video games. For one thing, KamaGames faces much of the same challenges and pressures as anyone making games for smart devices: namely retention, engagement and user acquisition. Fortunately, the social casino firm has found ways to meet these challenges - learnings Kuznetsov is more than happy to share. "Some examples of ways to drive engagement [are similar] across both social casino games and traditional mobile free-to-play games," he tells GamesIndustry.biz. "[They] include themed, in-game events, social or clan mechanics such as tournaments, the launch of new modes, challenges or any other elements that impacts gameplay, and of course, in-game currency reward programs such as daily bonuses, watching rewarded videos, joining social channels and unlocking achievements. "One of the key points of similarity these days, is the rising cost of user acquisition. No matter which genre your game is in, the one key challenge applicable to every developer, is how to keep the player inside the game as long as possible in order to maximise profits per user. That's why successful companies have one agenda - to keep users engaged and entertained by introducing new content, new features, and game events." KamaGames currently acquires an average of 1.5 million new players every month, with the daily average user count currently an average of 414,000 - in fact, the firm reports it just recorded a DAU figure of over 500,000. By comparison, the average DAU in 2016 was 304,000. The most obvious and effective way to achieve such figures is to constantly add to your game, but this can also be the toughest part of surviving the mobile industry. Nevertheless, as your audience grows, its hunger for more must be sated - otherwise they'll seek entertainment from your competitors. "It is crucial to provide players with new content, features and in some cases, new games, in order to keep them engaged all the time," says Kuznetsov. "In order to stay absolutely competitive - not only with the rest of the social casino industry, but also the wider mobile games industry - we drive daily quests, launch special playing modes with individual game mechanics, host themed events and also hold a number of player tournaments every week too." "It is crucial to provide players with new content, features and in some cases, new games, in order to keep them engaged all the time"
The CEO tells us that these updates, combined with themed in-game sales and multiple special offers for players throughout each week, has helped KamaGames increased the average revenue per paying user (ARPPU, for acronym fans) by 30 per cent over the past year. "I would be interested to see which other titles in the wider mobile games industry have seen such growth," he adds. "All of these activities are focused on keeping our players busy and engaged within the game ecosystem. If they have not played for a short while, we'll re-engage them with Push Notifications, emails and other types of retargeting. This is all pretty standard stuff in any type of mobile game - but in our case executing all of these elements resulted in a retention increase of five per cent in 2017." 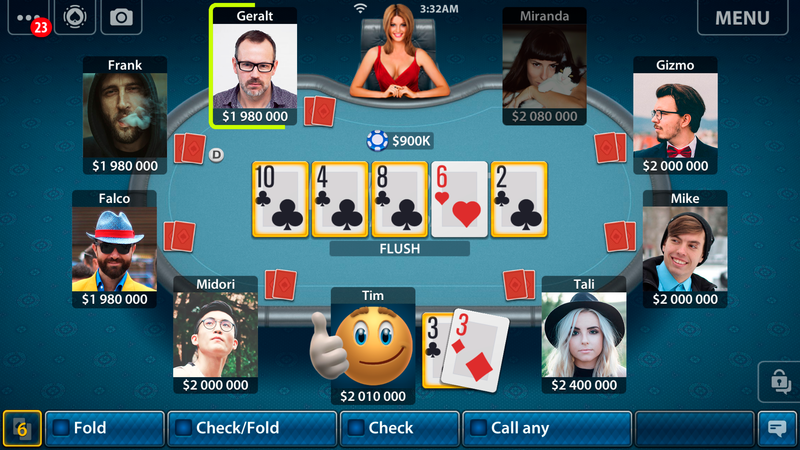 There is a crucial difference between KamaGames' portfolio of card and table games and that of most mobile developers: the former's apps often contain more than one game type. Conversely, the majority of free-to-play mobile studios focus on a single mechanic or game structure within their titles, but there's nothing to stop them experimenting with this. Kuznetsov explains the benefit of multi-game apps: "[It] means that our players are able to move their bank, friends list, achievements and so on from poker to blackjack to roulette if they wanted to without leaving the app. Should a player fancy a change, they do not actually have to leave our app to do so. In fact, research has shown that 51 per cent of our daily active users play at least two of our games each time they open the app." "I do not think there is one standalone instrument that can increase your revenue. All aspects of development and publishing need to move simultaneously"
Hosting in-game events, such as KamaGames' weekly roulette tournaments, then encourages players to try out the different activities in the hopes of finding one they wish to continue playing. It's a natural way to increase retention if players are growing tired of the same mechanic - in fact, the firm has noticed a 15 to 20 per cent rise in the number of hands played during tournaments, indicating a rise in player engagement. Of course, that's not to say the social casino firm isn't building on its portfolio and releasing new apps. "We need to give a players something new and something big on a regular basis and this usually comes in the form of an entirely new game," says Kuznetsov. "The most recent addition to the portfolio was slots. It was specifically designed to make our overall offering even wider and to also go after a previously untapped market for KamaGames: the female gamer. "According to a recent Newzoo report, 40 per cent of the slots market are female players. If you compare this to our gender demographic split based on poker - where we have 84 per cent male users - this new release could see the start of a significant shift from our usual audience." Regular activity and new content is the best way to drive retention, but not necessarily the key to increasing revenues. We ask Kuznetsov what the secret to KamaGames' revenue growth is, but he's unable to identify a single factor. "As social casino continues to grow, it's clear that whilst it still has a lot to learn, it also has a lot to teach the wider games industry"
"I do not think there is one standalone instrument that can increase your revenue," he says. "The modern gaming industry is a difficult and competitive market to be in and you need to pay very close attention to the details in order to be successful and see the results you want. To do this, all aspects of development and publishing need to move simultaneously. "For example, if a game has a unique mechanic, or we have a new addition to the portfolio launching, but players aren't aware of them, there won't be any significant result on KPIs - and that stands to reason. We cannot just launch update after update, game mode after game mode - we need to develop a strong product roadmap that the entire company buys into ranging from development, to PR, to marketing, to social and so on." KamaGames' revenues have increased by 63 per cent over the past year, and Kuznetsov attributes that entirely to the teamwork between the company's various divisions. He stresses again that this is vital to a mobile firm's success, as no single discipline holds the key to growth. "You cannot afford to overlook any aspect of your game if you want to be successful," he says. "You need to have experts in all areas of the business who can work together as a team. Once you have that, and you are effective, you'll see the ARPPU increase simply because your game is tighter, more engaging and it has awareness which is a huge factor in such a dense marketplace." If you have read this far, you're clearly open to learning from successful firms in other markets, but Kuznetsov tells us this isn't always the case - particularly with the biggest challenge KamaGames faces. "Despite the fact that social casino has absolutely nothing to do with real money gambling, we are constantly being associated with it," he explains. "There is still a large stigma attached to the social casino industry which results in confusion and misunderstanding as to what the nature of our business and portfolio is. "[But] the social casino industry is growing, both in revenue and players with more of the wider mobile games companies getting involved too. As social casino continues to grow, it's clear that whilst it still has a lot to learn, it also has a lot to teach the wider games industry."